Heed the call of the Cretaceous and join us for Dinosaurs Alive 2016! 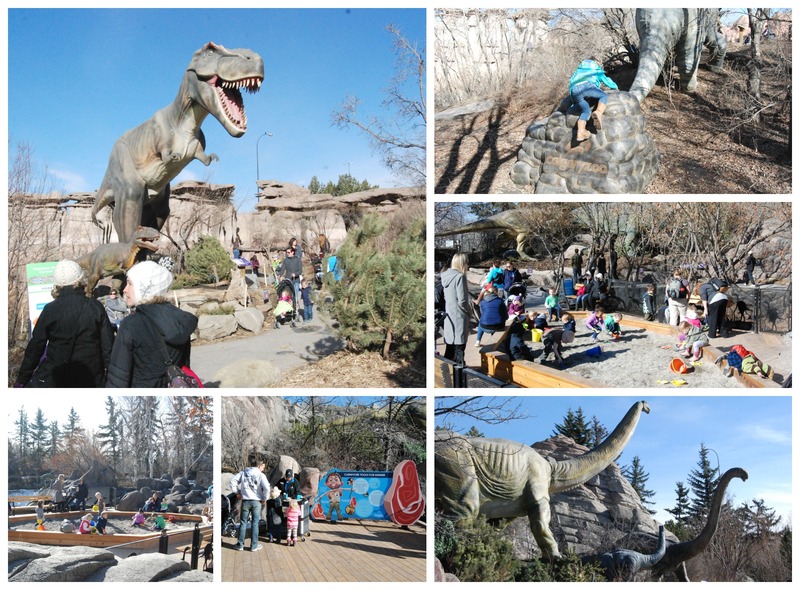 The Calgary Zoo will once again venture back in time with the re-opening of our prehistoric park on March 18. Returning for the season will be more than twenty animatronic dinosaurs and beloved roving mascots Rex and Sam, the latter being our adventurous junior paleontologist whose mission is to share his love of all things dino. Catch them both throughout the park daily and make sure to take a selfie with a Tyrannosaurus rex! Other popular photo stops are still onsite at the iguanodon egg nest where you get to climb in and become a hatchling, the enormous poop pile by styrachosaurus (it looks like the Drumheller hoodoos or some might even say a ‘poodoo’), and the dino-sized steak near our long-necked herbivores apatosaurus and omeisaurus. 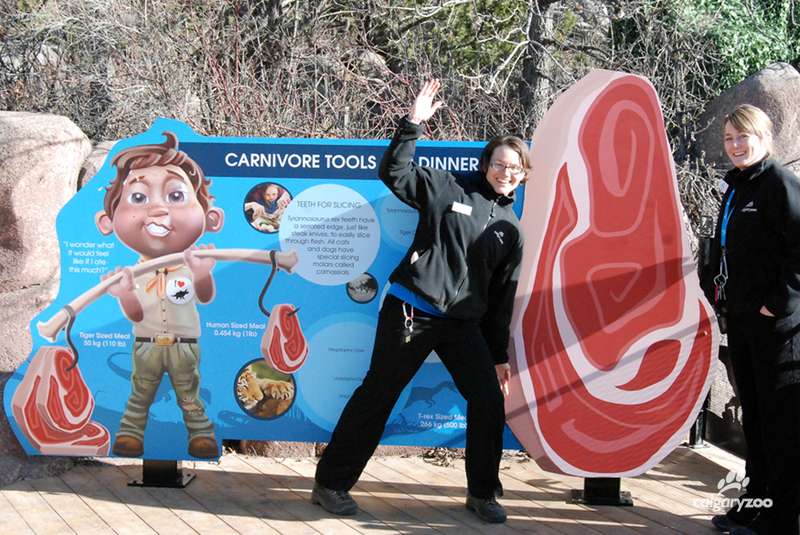 While you’re visiting, compare yourself to the size of dino’s lunch! New this year will be the University of Calgary’s Wagonstage Theatre. These talented young actors will be showcasing performances in July and August designed especially for young dino fanatics, aged 3 – 9. 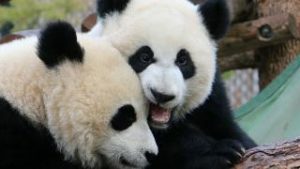 Combining songs, zany characters and a conservation adventure like no other, our prehistoric park amphitheater will be transformed into the best off Broadway venue around. We’ve upgraded our theatre with newly installed fans to keep you cool while you time travel without leaving your seat. Rex takes a stroll through the zoo and meets our young visitors. Keep an eye out for him during our Dino Talks in the Prehistoric Park Amphitheatre! We’ve also expanded our exploration into the prehistoric world with activities and interactive talks on a variety of species who shared the dinosaur’s ecosystems. From sharks to crocodiles and birds to turtles, our zoo educators will help navigate your journey into nature as it existed 65 million years ago. There will be lots of artifacts, costumes and games so budding paleontologists will be in like-minded company as they talk shop to their heart’s content. When we brought back Dinosaurs Alive in 2015, we introduced many new additions. We can’t wait to add more! Grab your hat and sunscreen and join us from March 18 – October to venture to a world gone but definitely not forgotten. 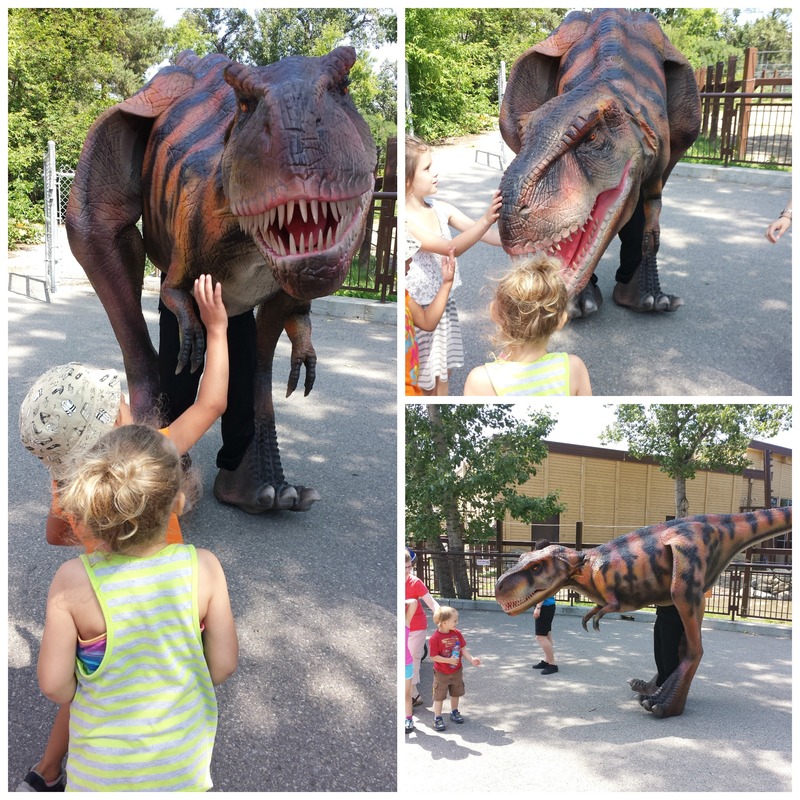 Learn more about the fun to be had at Dinosaurs Alive!